Stylish Italians don’t drive SUVs – I wonder why….? Just back from a Maserati event in Italy – and just about the only SUV I saw in two days was the company’s forthcoming Levante, due out at the end of this year. Admittedly, that was on a top secret test track near Turin. Photography was banned and I was too slow to snap anything on my iPhone anyway. Profile looks like a BMX X6 though! And I certainly didn’t see one Santa Fe. The Italians only seem to own Italian cars – they would buy a broomstick if it had FIAT written on the side. You’ve read all the fluff about the brave new world of electric cars. However, even the stylish, beautifully-proportioned Tesla (tested elsewhere on this site) falls foul of the lack of plug-in infrastructure in the UK. What we need is a plug-in vehicle that removes that worrying feeling you are just about to run out battery life in the middle of nowhere. So, until there are plug-in points on every street corner, the Outlander PHEV is the perfect solution. 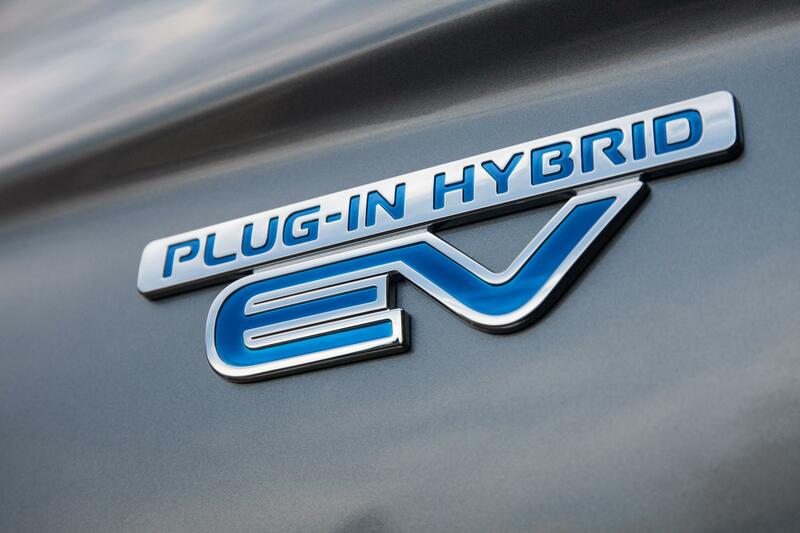 PHEV is the first plug-in vehicle that has the reassuring back up of a hybrid petrol-electric system – so you will never have the stress of searching for a plug-in point miles from home. It’s brilliantly simple – like most great ideas – and that’s why it’s now the UK’s No. 1 plug in. 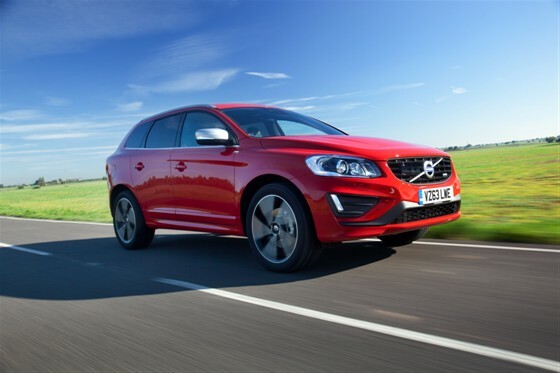 The PHEV does everything and is also a sports utility vehicle, a booming car sector in Britain. 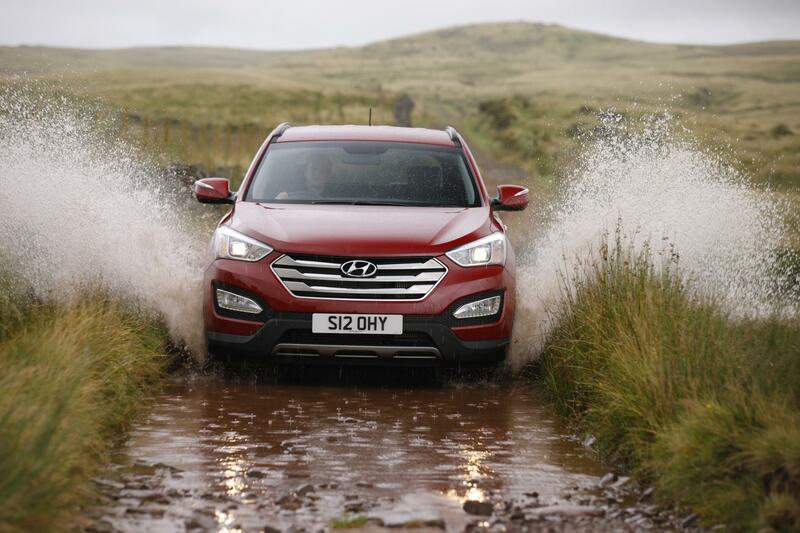 Add four-wheel drive ability and you start to understand why this five-seater is proving so popular. We also like the way it looks at Car Couture and with a lot of miles to cover this week, I’m looking forward to seeing how the PHEV copes in the real world of Bank Holiday traffic. Car changeover days are rarely as painful as this… So, I’ve just handed back the keys to the Quattroporte and taken delivery of a Renault Twingo. In white. With black stripes. Ouch. You might think I have a twisted sense of logic but the fact is, the Maserati is my favourite motor of the year. It’s not a Jaguar, a Porsche or a Ferrari but a crazy grand tourer with the maddest interior I’ve seen in decades. Yes, it was the interior ‘wot won it’. 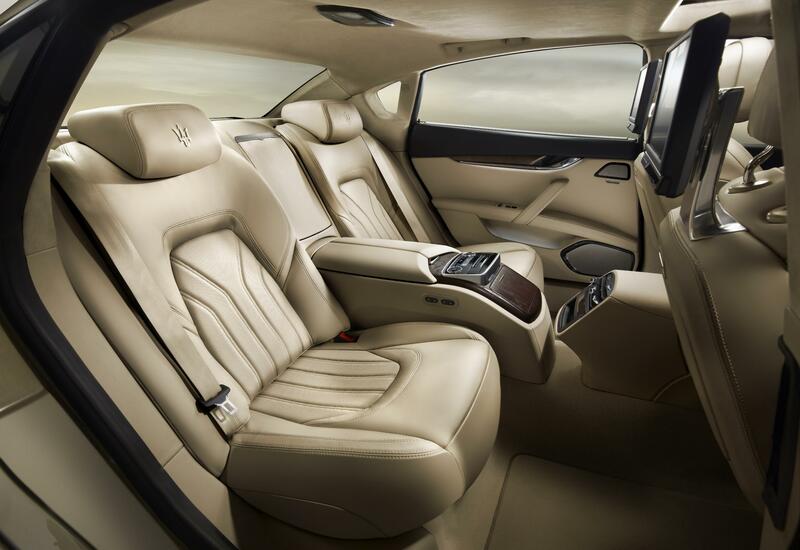 There have been more beautiful cars than the Maserati (Jaguar F-Type, Bentley Convertible, Porsche Boxster) but that brown and blue cabin in the Quattroporte just took me back to the 1970s, when Lancia and Alfa created cabins of beauty and desire. Bentley has invited me ice driving in Sweden in January but I had just as much ‘fun’ travelling to Kingham Station this morning. That twin turbo V6 puts 410bhp to the back wheels – enough to make even a rear-wheel drive BMW look good on ice. 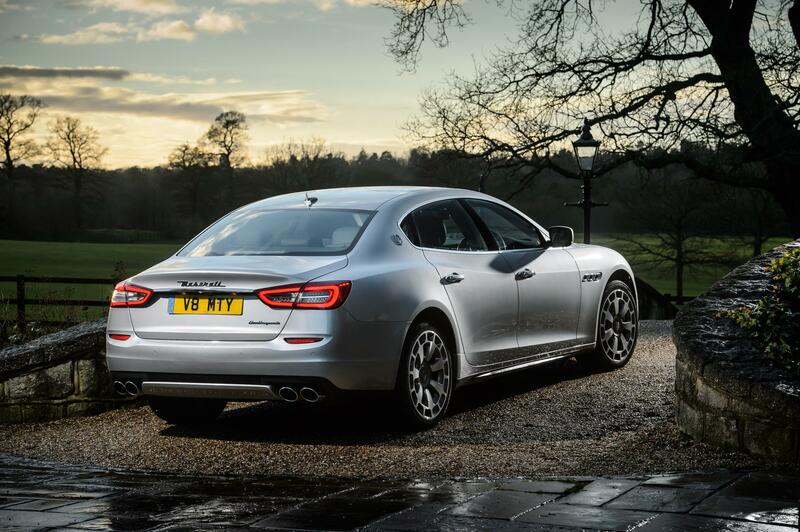 Because the Quattroporte is also very long, the slightest tweak of the accelerator sends the back of the car swinging out at an alarming rate. And what about that ‘ICE’ button on the auto transmission? Well, it has nothing to do with chilly conditions! ‘Increased control and efficiency’ is actually a fuel-saving device for urban driving, so don’t be fooled. Nobody else would dare do it – a brown leather interior complemented by a blue dashboard! Welcome to the wonderful world of Maserati. And just like stilton and marmalade on toast, somehow the daredevil Italians have pulled it off. It works brilliantly and makes Mercedes, Porsche and all the rest of the grey-seat manufacturers look more than a little dull. Even the alcantara headlining is brown – a £1,158 option yes but damn it looks good. There’s a stunning red interior available too that really is amazing. 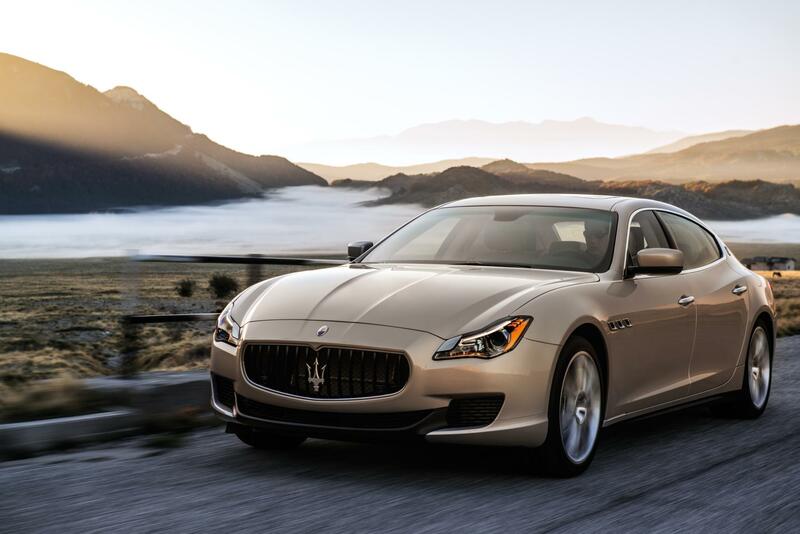 I’m loving the Quattroporte. It’s a big car for manoeuvring at low speed but apart from that, why are you even considering a four-door Porsche?? 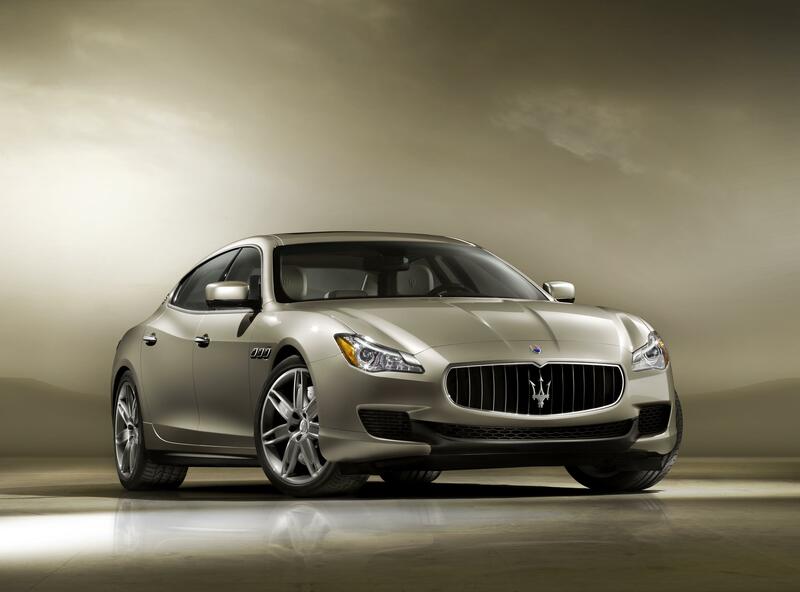 Maserati Quattroporte S – Sinister front grille + unknown quantity = rapid progress in the outside lane…. I have this theory that people move out of the outside lane of the motorway only if they really, really have to. Why else would people be such arses about it when they are slowing down a car travelling behind them? It seems the best way to ‘encourage’ drivers to move over is appear behind them in a car with a seriously intimidating front end. Contenders for this would be the Audi Q7 (Clarkson once said you could nail it to a church door to keep the devil at bay), the latest Range Rover, the Jaguar XFR-S and the Quattroporte. 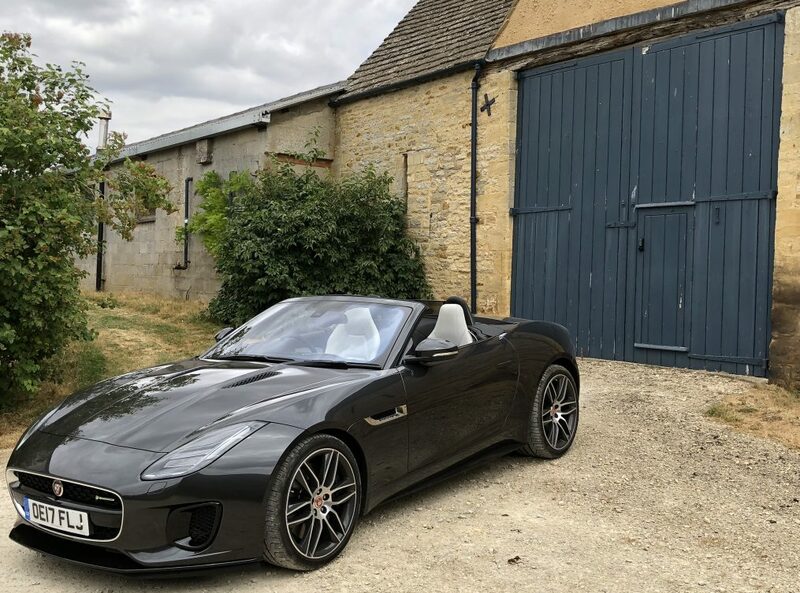 However, you should pick the Maserati because it also has the advantage of being so rare outside of London that people haven’t got a clue what is coming up behind them in their rear-view mirror. Sinister front grille + unknown quantity = rapid progress in the outside lane….